Redstone FCU executives throw out old baggage, revealing a new culture that led to significant growth for the CU. 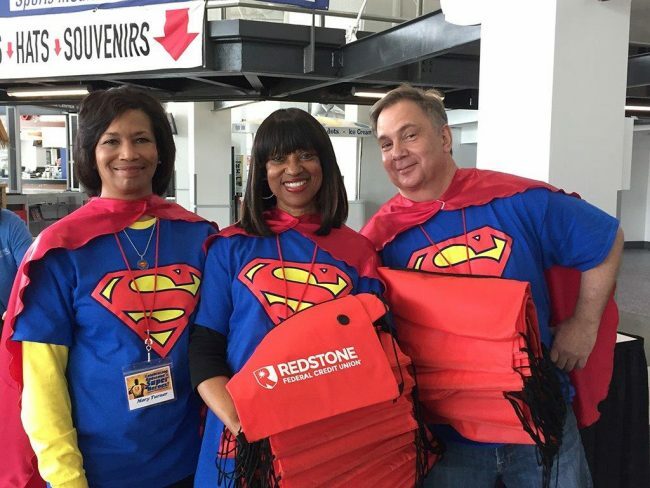 Redstone’s super executives have fun together during Employee Appreciation Day. From left: Vice President and Chief Audit Officer Mary Turner, EVP and Chief Retail Officer Yvette Banks, and Fred Trusty. By all accounts, Redstone Federal Credit Union was doing well in 2014. It was hitting all major metrics that deem a credit union successful. It was good … but good wasn’t good enough!